I enjoy reading articles about Israel, especially Jerusalem. This one caught my attention. 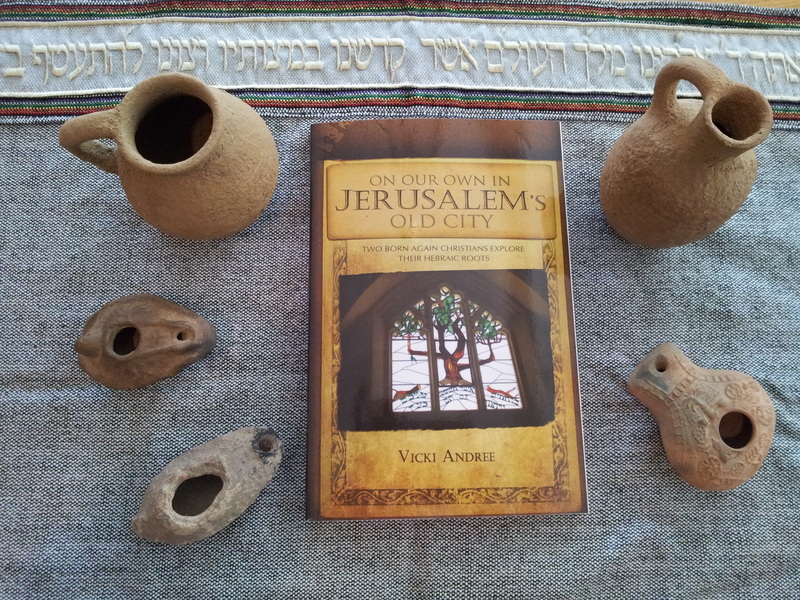 In my book On Our Own In Jerusalem, we toured historic places and viewed beautiful artwork. It is fun to see what new discoveries are still being found in this fascinating city. 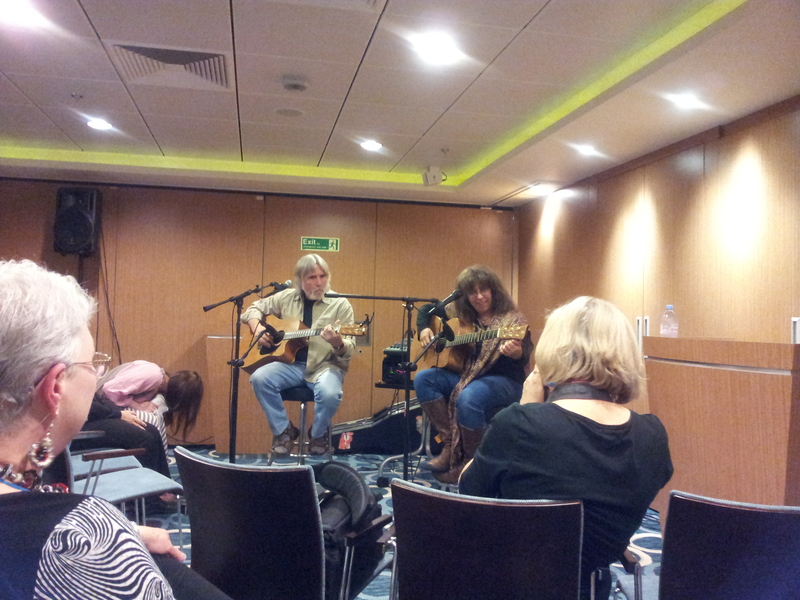 In the evenings we enjoyed some great music on our trip. Don Francisco and Wendy, Dallas Holm, Michael Card and Scott Wesley Brown cruised with us. 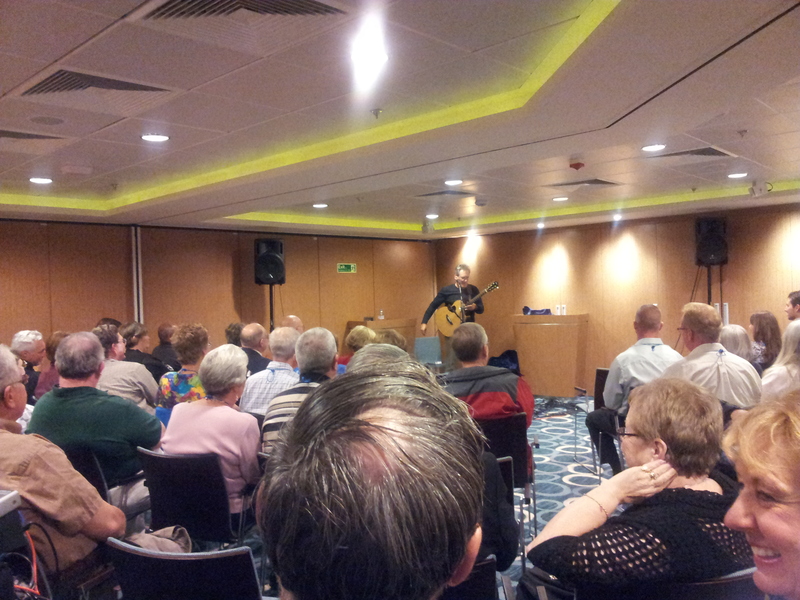 Here is Dallas Holm singing to our small group as we sail the inland passage from Alaska to Seattle. 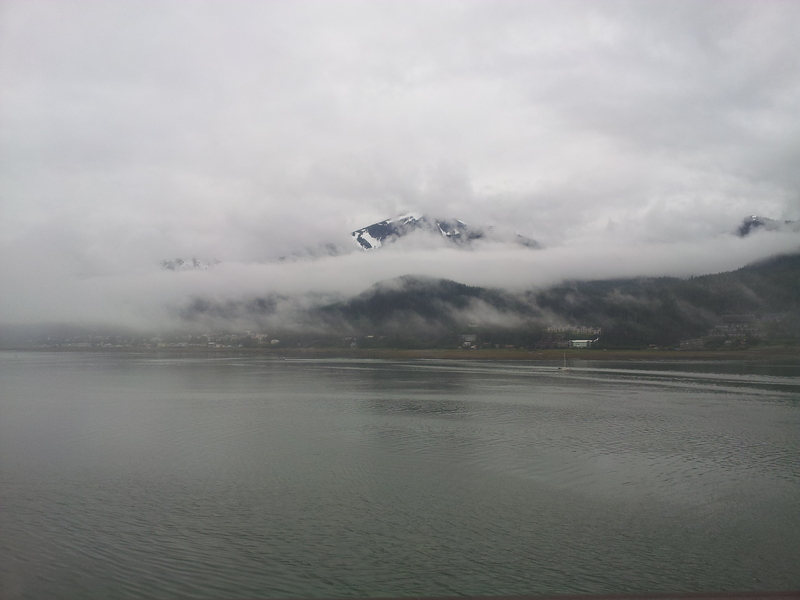 In the morning the cloud cover on the mountains coupled with the water views were breathtaking. 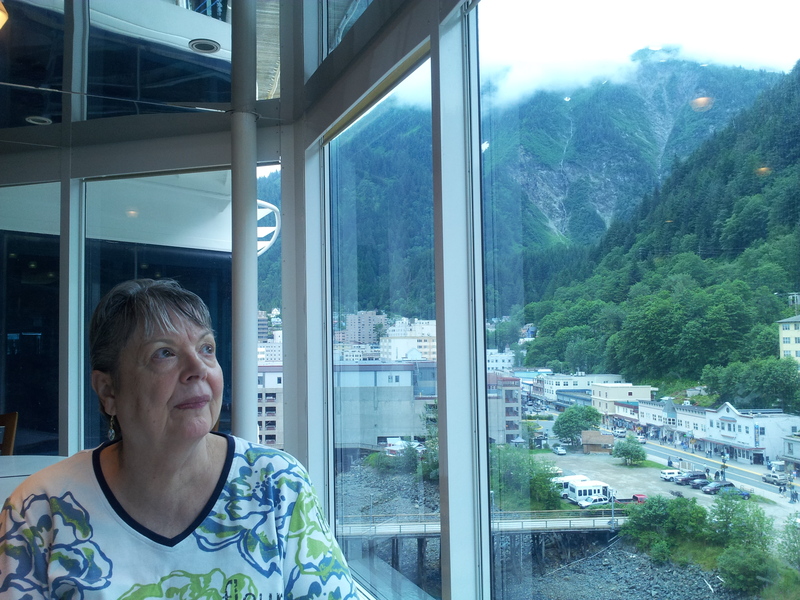 David took this photo of me gazing at the views as we docked at Ketchikan, Alaska. We shopped the curios and ate lunch. David bought me jewelry that depicted the Northern Lights. I’d love to show it to you, but I gave it to my sister. Don Francisco and Wendy entertained us with “He’s Alive” and “Dog”. Don Francisco’s songs have been favorites for years so I was glad to get to visit with him and Wendy for a few minutes. They are a sweet couple in love with the Lord. What is a favorite place of yours to visit? Thank you to all who have served in our Armed Forces. My first video devotion is now on YouTube. Horace Greeley was a respected journalist who lived in the 1800’s. He started the New York Tribune, helped Lincoln get into office, and ran for president himself. The Horace Greeley Foundations sponsors a yearly Writer’s Symposium. For those of you in the Vermont area, this conference might be of interest. As a writer, I think this would be a fun thing to do. Horace Greeley, founder of the New York Tribune, suffragist, opponent of slavery, and man of letters, learned the newspaper trade in East Poultney, Vermont. He rose from humble beginnings to become one of the nation’s most respected journalists. The heart of the Greeley legend is centered in East Poultney where he lived and apprenticed in the newspaper trade. The small community of homes surrounds The Green at whose center is the East Poultney Baptist Church built in 1805. The Eagle Tavern where he boarded, the house where he learned the printing trade, the one room school and the Melodeon Factory remain intact, as do almost all the structures that existed when Horace once purposefully began his life’s work. To learn more about Horace Greeley and the writing symposium, click here. 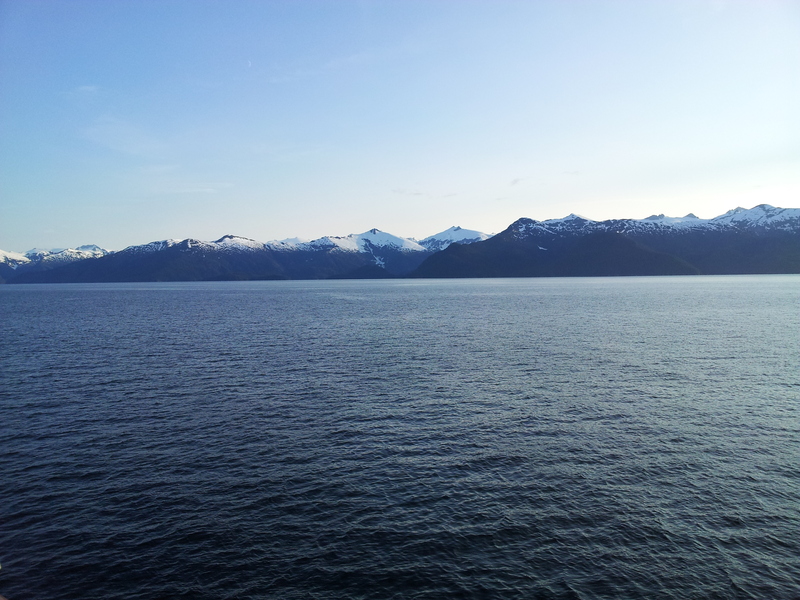 Beautiful Alaska is a place I would love to visit more often. All along the inland passage you see amazing scenery. 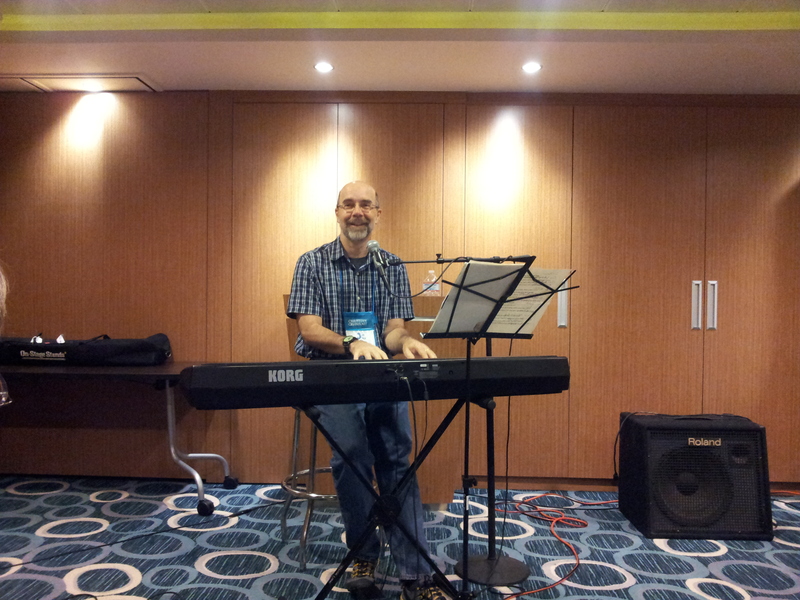 We were fortunate to have Michael Card on this trip. His music is deep and devotional. He met with us in the mornings for Bible study and in the evenings for praise! We loved his music. I love Michael’s song, El Shaddai. You can listen to it here. 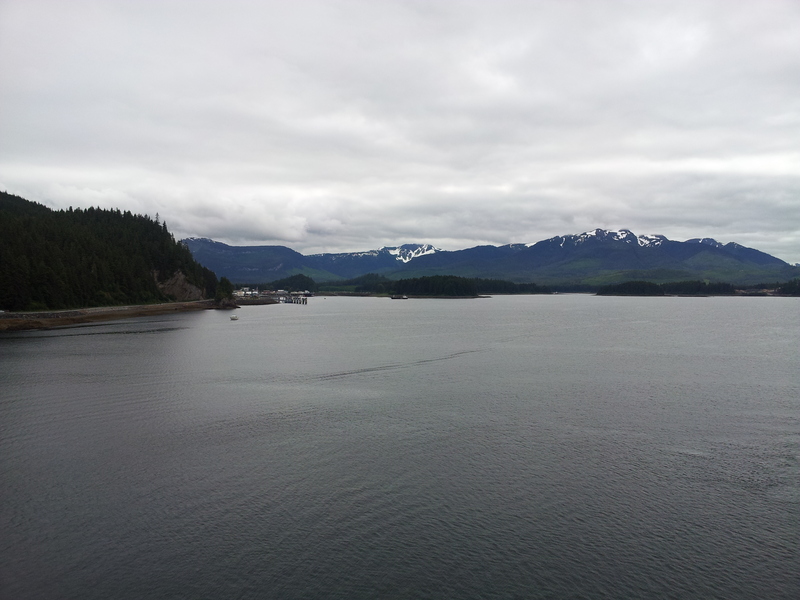 More scenery from the ship as we headed back to Seattle. 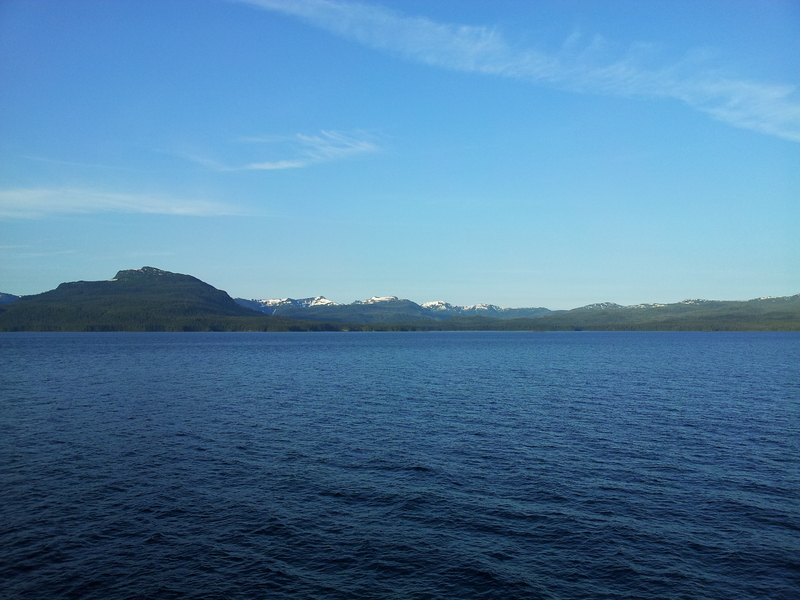 Blue skies, mountains in the distance and blue waters make for a peaceful afternoon on deck. 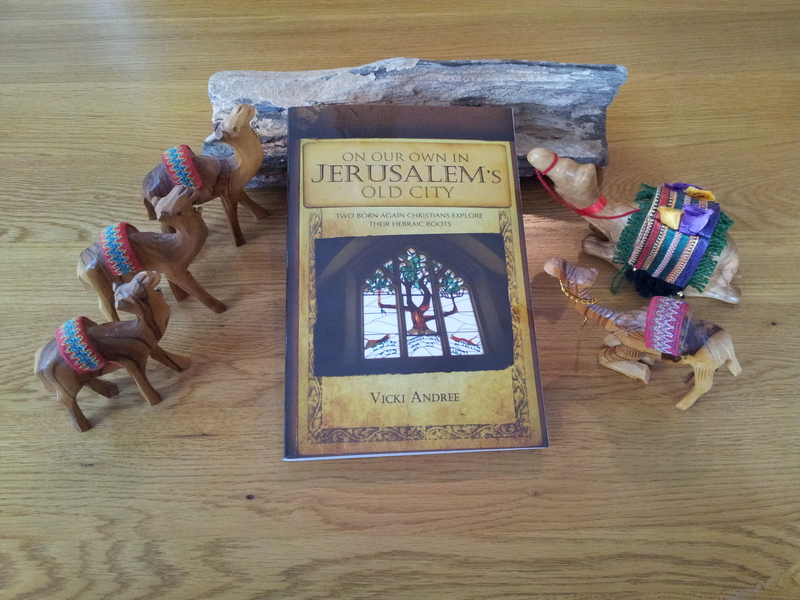 If you love to combine travel and reading, my books can be found here. I will be at two book signings in North Platte Nebraska this weekend. 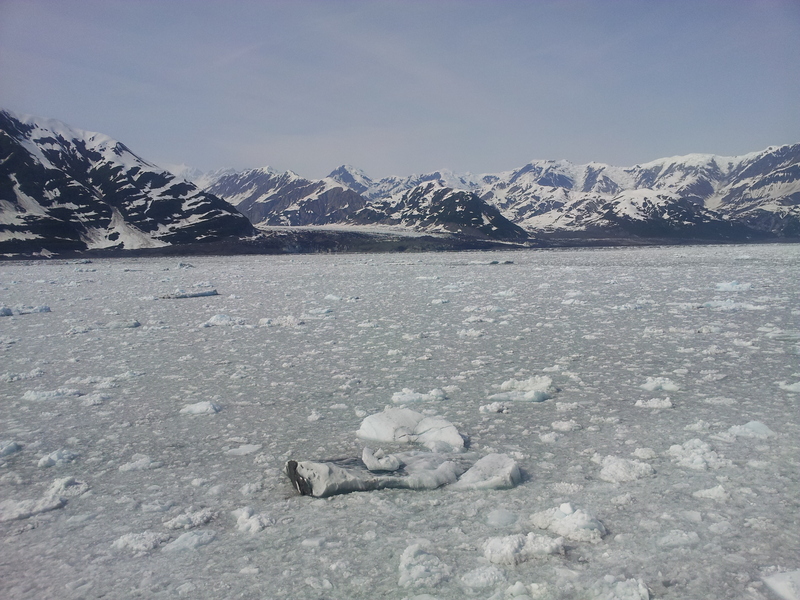 Hubbard Glacier is located in eastern Alaska. At over seventy-five miles long, it is the largest tidewater glacier in North America. 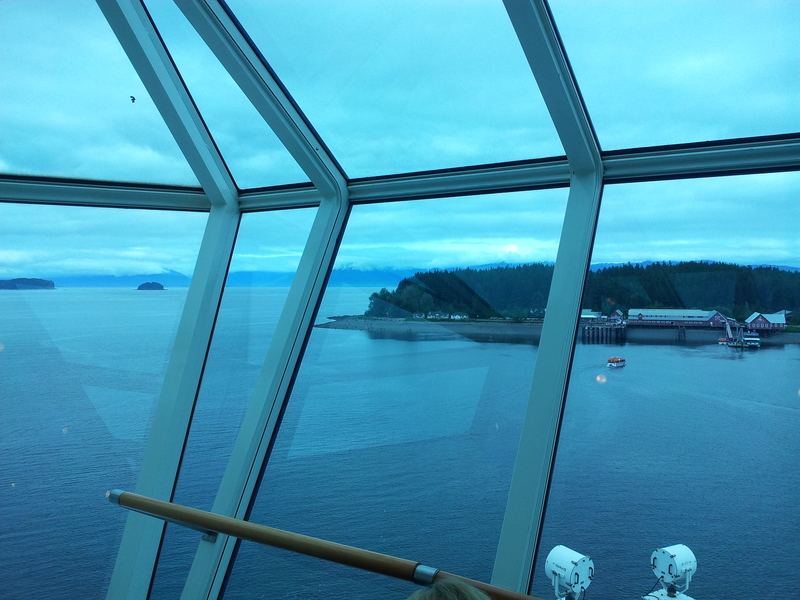 This view was taken from the ship’s deck. 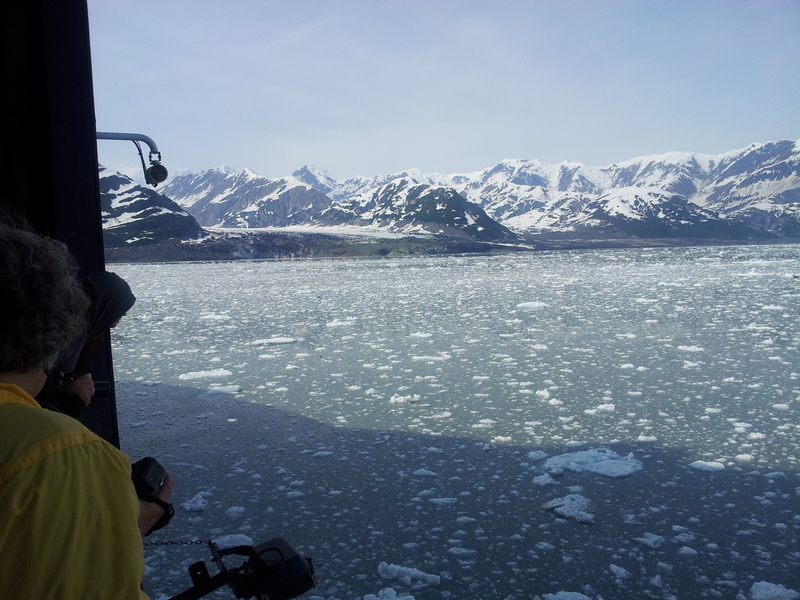 Hubbard Glacier starts in the Yukon Territory and expands into Alaska. It continues to advance each year. When pieces of it fall off, it is called calving. 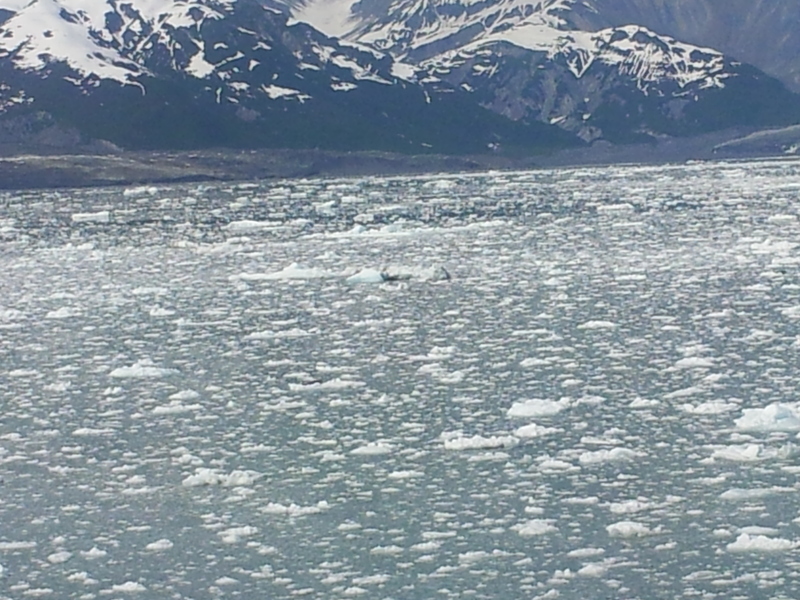 Then the chunks of ice float in the water like what is pictured below. It was a truly beautiful trip. As a writer, I enjoy traveling and use those experiences as part of my novels. 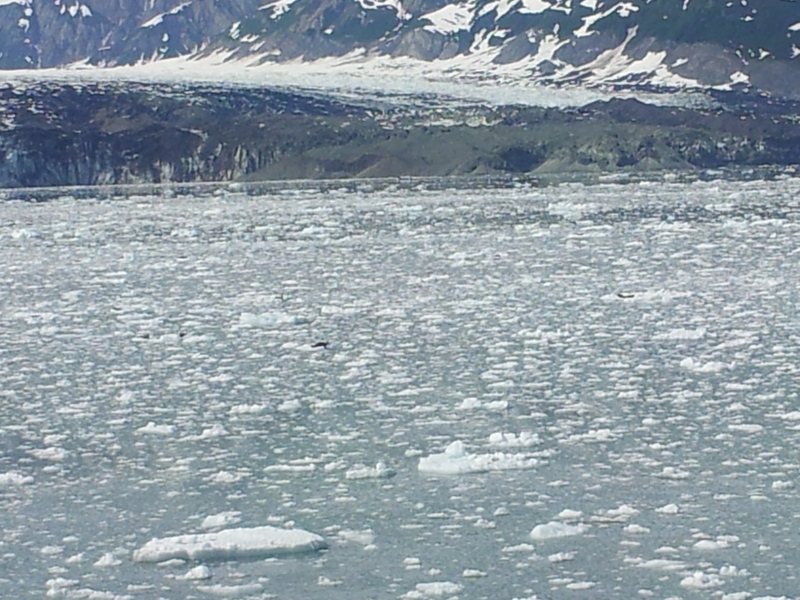 Click here to watch part of the glacier fall off and land into the water. The reactions of the photographers to the scene is fun. 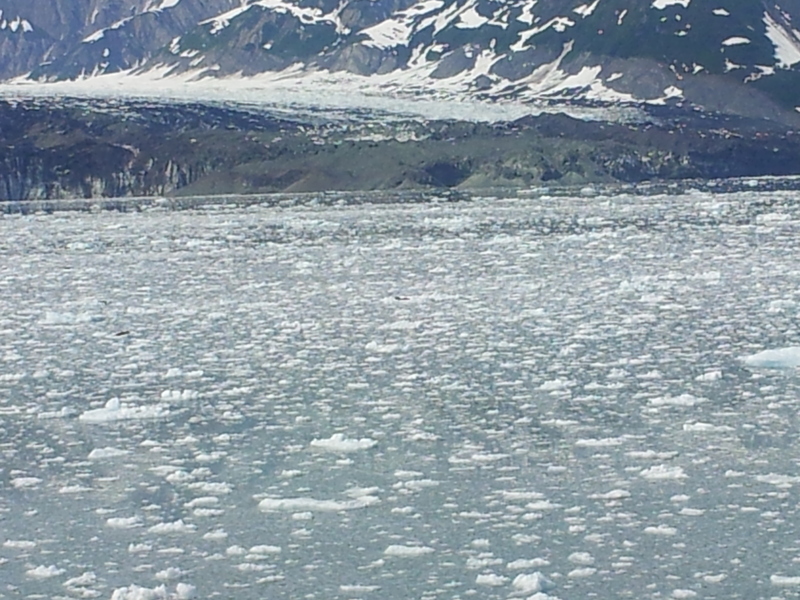 More can be found about this amazing glacier, here.